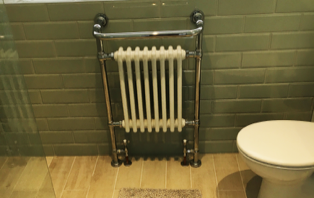 Allsom gas plumbing and heating services range from gas fire maintenance, fixing leaky taps and over-flows to fitting complete hot water systems, installing new radiators, boiler servicing and many more plumbing and heating services. If you're looking for a 100% reliable, trustworthy service, with all the necessary credentials to carry out a highly professional job, Look no further than Allsom Gas Plumbing and Heating. We provide free estimates for any work you may require relating to your gas appliances or heating system, as well as for the full installation of a heating system, and hot water system. Allsom by name. Awesome by nature. As a Gas Safe registered company you can be sure that your safety is our priority when installing or repairing all gas appliances such as boilers and gas fires. Refurbishing your bathroom can sometimes prove to be a stressful process...there are lots of choices and decisions to be made. We can take you through the process from concept to completion, designing and transforming your new bathroom for you, or help develop any ideas you may have in your head. Our Customers requirements are paramount and we will endeavour to undertake all bathroom refits with the minimum of disruption to a busy household. Our experienced and friendly plumbers can repair a dripping tap, service a hot water boiler, install a dishwasher or washing machine.